Multifunctional sesame roasting machine is a special equipment used to dry and roast sesame, mung beans and other small grain food. The roasting machine has a lifting function, so it can make material automatically discharged and one item down net, easy to operate. The finished products are in uniform color and free of blemishes. There are three heating methods: electric heating, coal heating, and gas heating, and customers can choose an appropriate heating way according to their situation. 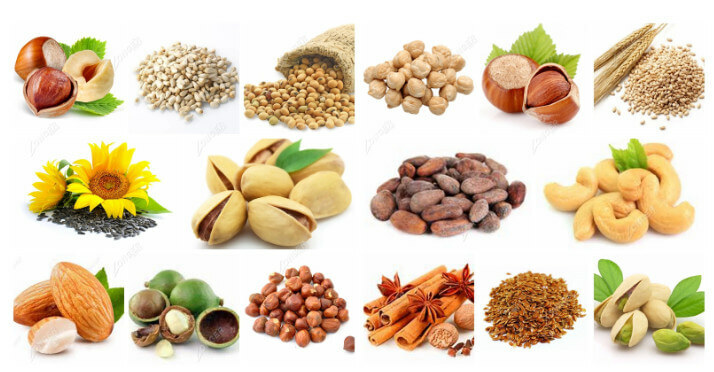 The roasting machine is widely used in drying and roasting all kinds of nuts, beans, and seeds, such as peanuts, milky white rice, boiled spicy peanuts, melon seeds, almonds, chestnuts, broad beans and so on. It is a good helper for the food processing industry. How to Get Pure Taste and Crispy Roasted Food with Peanut Roasting Machine? The peanut roasting machine adopts electric tube as the heat source, using the rotary rolling cage, thermal conduction, and thermal radiation theory, equipped with automatic temperature control device. With hot air as drying medium, the heat effects in baked objects. During the baking process the roasted products in the cage advancing by propulsion device, forming a continuous cycle, so as to be heated evenly, effectively, ensuring the baking quality with pure and crispy taste. 1. Please make sure the power and transmission past is normal before starting, then press the forward button to make the rotating cage idle for 3-5 minutes; open the oven temperature switch warming all without exception. 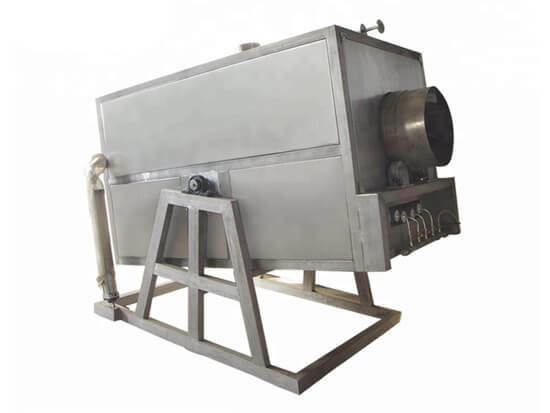 During the heating process, the roasting cage cannot stop rotation to prevent the high-temperature deformation. 3. In the baking process, you can sample from the rotating cage to observe the duration and degree of heating, if it is ok, then press the reverse rotation button, open the discharge door, make the object automatically flow out. 4. At the end of working, please first turn off the temperature control switch. Don't stop the rotating cage until the oven temperature drops to 50 degrees, which can prevent high-temperature static deformation.